If you are traveling through the Midwest and are looking to grab a meal somewhere other than a chain restaurant, then head on over to one of these neighborhood joints. From burgers to New York style Panini, these local cafés have something to satisfy everyone in your traveling party. 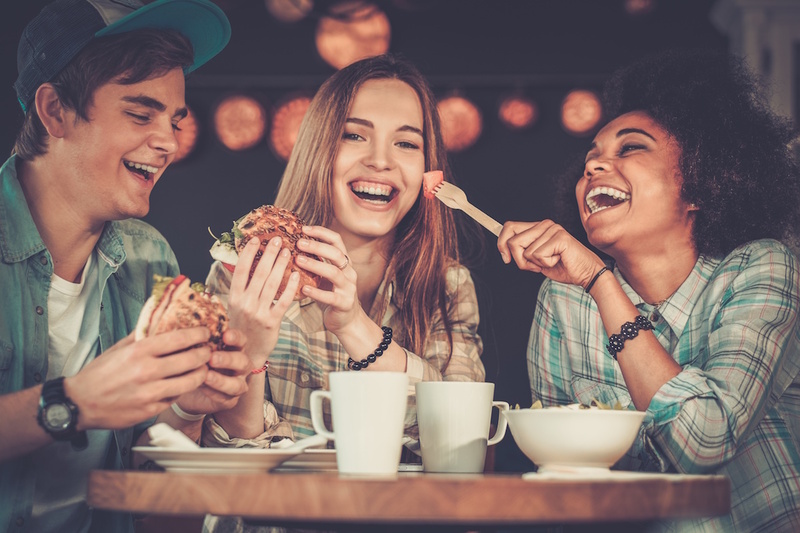 If you are looking for the perfect spot to meet some friends or to grab a quick burger before heading back to your hotel room, then this may be the place for you. Bubba’s, on the outskirts of downtown Traverse City, is known for their burgers, burritos, and beer. Honestly, the menu is awesome, but it is the atmosphere that makes you want to come back for more. The staff here is exceptional and most of the year the place is busy with locals and tourists who are there to enjoy their favorite salad, burger or sandwich. There is an extensive beer and wine list available to guests as well and you can be sure that you will find some of the best regional wines on that list. Built in the early 1900s, the Lighthouse Inn started out an as small inn where people would come for a great meal, some drinks and perhaps to rent one of the cabins that once sat behind the restaurant. The location became a popular stop for Chicagoland gangsters during the prohibition and it was not unusual to see Al Capone or John Dillinger sitting at one of the tables enjoying a meal from time-to-time. Nowadays it is known as the place to go locally for some “fall off the bone” ribs and to enjoy other popular American dishes. It’s a great location for a casual dinner with friends and family. Voted by locals to be one of the best spots for Italian food in Springfield, this happening spot offers up a great food, and great service, right in your neighborhood. The owners of the spot take pride in their reputation as being one of the best restaurants in town. Due to the popularity of their first location, they opened a second one in 2015. The menu offers a variety of salads Panini sandwiches and traditional Italian dishes.